The long-term decline in viewership for America’s big TV outlets is finally starting to catch up to their stock prices. Since 2009, media stocks have been some of the best performers in S&P 500, but the last few days have seen $50 billion wiped from these companies. Ignited by a plunge in Walt Disney Co., shares tracked by the 15-company S&P 500 Media Index have tumbled 8.2 percent in two days, the biggest slump for the group since 2008…In just five stocks — Disney, Time Warner Inc., Fox, CBS and Comcast Corp. — almost $50 billion of value was erased in two days. Viacom slid 14 percent on Thursday alone, its biggest drop since October 2008. Stock analysts say the reason behind the drop is simple on the surface: many of the media companies missed their profit projections, prompting investors to drop their stocks. Disney has lowered its growth projections for its sports brand, ESPN, while Viacom reported lower revenues than expected, which triggered a sell-off. However, there is a larger trend at play here—one that the mainstream media—which is owned by these very companies facing the stock beat-down—doesn’t want to talk about. People are simply outgrowing the old media paradigm, and instead, are turning to the Internet for both their news and entertainment at a break-neck pace. As we reported last month, Netflix will have more viewers than ABC, CBS, NBC, or Fox by 2016. Viewership of television media is dropping — and it’s left the old media scrambling for answers. Though overall video viewing is up thanks to a plethora of new online services, fewer people are sitting down in front of a television set and a growing number of households — roughly 2.6 million, or 2.8 percent — are becoming ‘broadband only,’ forgoing cable and broadcast signals altogether. In the third quarter of 2014, the average viewer watched 141 hours of TV a month, down 6 hours from the same time last year, and a full 12 minutes less per day. Digital, on the other hand, has shown strong growth over the past year across all age groups, with viewership up 53 percent among people 18-49, up 62 percent among people 25-54, and up 55 percent among those 55 and older since the third quarter of 2013. 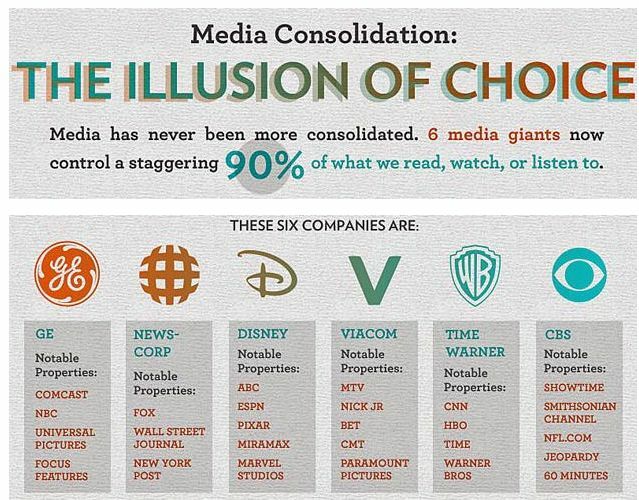 In the past, TV news outlets relied on a virtual monopoly between the big six companies that own 90% of the media to make their numbers. This left viewers with no choice but to consume media from one of these companies if they watched TV. But now, as people have multiple sources and choices of news thanks to the Internet and independent media, the monopoly is coming under pressure. Aging generations, which will probably never break their TV habits, are now the only reliable audiences for the likes of CNN, Fox News, NBC, CBS, and the rest of the mainstream media. Members of the Internet age would rather have choices and read or watch news from sources they both trust and believe in. This is major problem for the old media, as poll after poll has shown eroding trust in the big six. According to Gallup polling numbers, Americans’ confidence in the media’s ability to report “the news fully, accurately, and fairly” reached an all-time low of 40% in 2014. The reason for the falling ratings and trust in the media is not mentioned in the poll, but one could speculate that younger generations have become disillusioned by endless war mongering, partisanship, racial bias, politician and police worship, reality TV, and celebrity media frenzies that have become the trademarks of TV news. However, one thing is clear: television media will soon suffer the same fate as the near-extinct newspaper industry—barring some unexpected miracle—and that is a positive development for the well being of the political and social conversation in America. America’s new media is becoming more like America as a whole: diverse. Nick Bernabe writes for theAntiMedia.org. Anti-Media Radio airs weeknights at 11pm Eastern/8pm Pacific. If you spot a typo, email [email protected]. 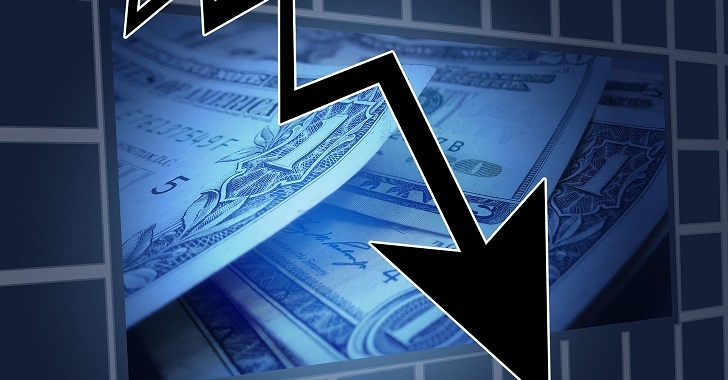 9 Comments on "Mainstream Media Stock Prices Collapsing as People Choose Internet Over TV"
That’s what happens when you charge too much for your crappy services while wages remain stagnant- cutting back to internet only and dumping the bundles. i bought this satellite receiver called x2 premium 3 for $100 off ebay. to my surprise it has iptv which picks up more than 300 stations free of charge. i don’t have time to watch all those stations but there is a lot of quality tv there including european and latin american, all free of charge. I feel bad for them losing so much money. They brought it upon themselves for hiding the truth. I would love to have a satellite receiver to bypass. I just got my bill after getting rid of expanded cable and it only saved $35 not enough for me. Ah, people coming out of the trance…at long last! It’s time for them to lose….Evening news formula of 3 – TERROR, LONE SHOOTER & Weather – Climate Warming HOAX (really it’s about weather as a weapon)….night after night….we always know what they are up to by checking in on what the CIA is telling them to report! The same old guys year after year, war after war abortion fight after abortion fight till we all know the story. The “news” does history and future storys but never about today. The future they tell us of is always fearful and the past is glorious warfare. If somewhere in all the nonsense they print and say any message gets through it is a death culture they represent and it is always our deaths that will be violent if we do not respond to every corporate/gov demands or warnings..
Congratulations on your new site and five years of hard work that I have enjoyed sharing around the web. Look forward to the next five years of learning, researching, telling, and sharing. Activist Post Rocks! Thank you for everything you have done to improve my life from exposing chemtrails to natural health. Love Love!!! !